This week we are talking ocean themed yoga and movements. In the past couple of weeks I’ve shared about zoo themed yoga and farm yoga and movements. The ocean is another great place to learn and play. 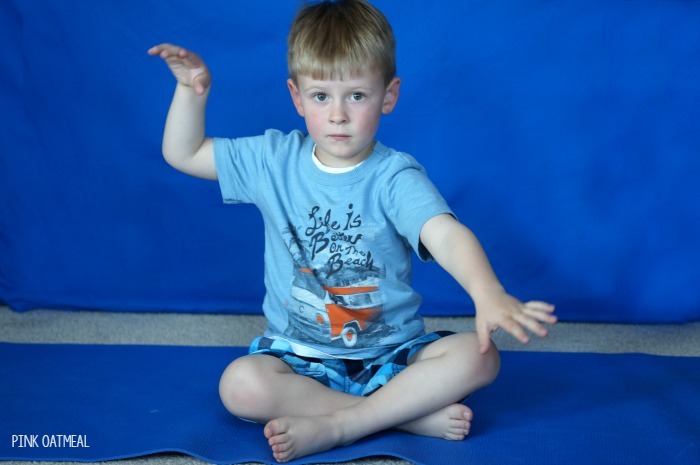 Yoga can easily be incorporated into a sea or ocean theme along with other sea themed motor play and learning. 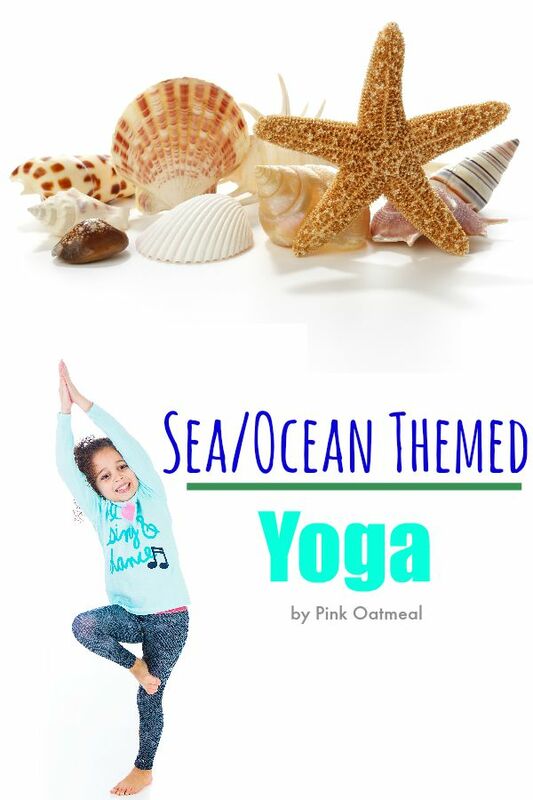 Ocean themed yoga is perfect for toddlers through elementary school-aged children. 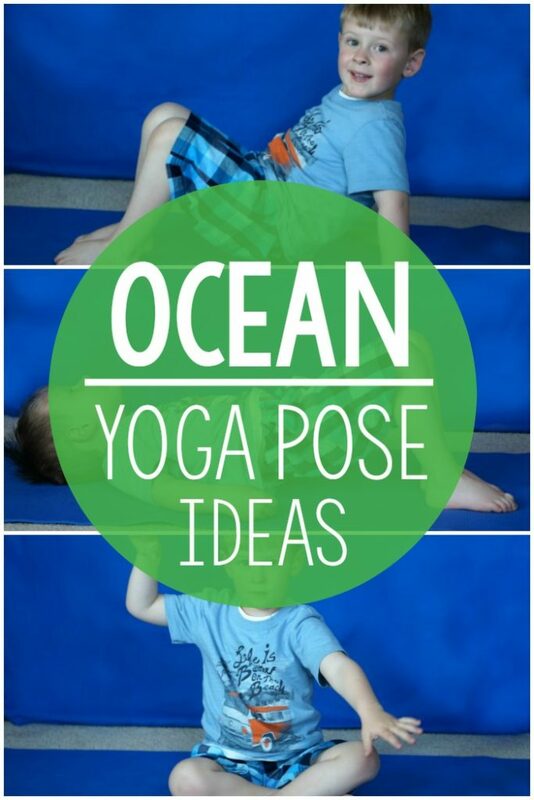 Ocean yoga is a fun way to add physical activity to your kids day. When you add ocean yoga to your day you can feel confident that you and your kids will love this activity! Save yourself time and effort and get Ocean Yoga Cards to use right now. Deep Breathing – Put your hands on your stomach and fill it up with air (like a pufferfish) blow out all your air and repeat. Dolphin Pose – Make dolphin noises! Lotus Pose – Move your arms at your side like an octopus! Tall Kneeling reaching above your head. Fish Pose – Move your face to make a fish face! Forward Bend – Let your arms swing side to side like a jellyfish. Reverse Tabletop – Do the crab walk. Upward Dog – Bark like a sea lion! Bridge Pose – Think of ships going under the bridge! Boat Pose – Can be done individually or with partners! Think about how great it would feel to have everything you needed created for you to make ocean yoga happen now! 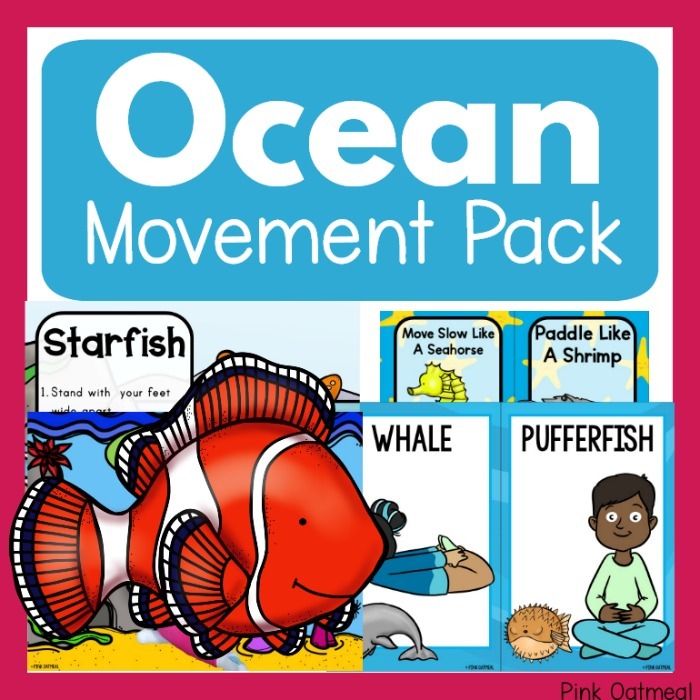 Not only will you have fun themed ocean movement ideas, but you can also feel confident knowing that you and your kids will love these moves and be so engaged in learning. This is the perfect way to combine movement and learning! Pink Oatmeal has everything you need ready to go. Buy Ocean Yoga Cards today! Even better than Ocean yoga is when you can have Ocean Movement Cards to go along with it. You get all this when you purchase the Ocean Movement Pack. This is by far your best deal when it comes to adding movement with an ocean theme. I work for a non-profit agency in Connecticut and we run a free summer camp for Pre-K and Kindergarten students that has an ocean theme. We used to have a yoga instructor come to camp, but unfortunately we no longer receive the grant that paid for the instructor. Your ocean yoga cards would be a perfect addition to our program. I was wondering if there is any way you could send me a copy of the cards. I would love to incorporate them into camp this summer! 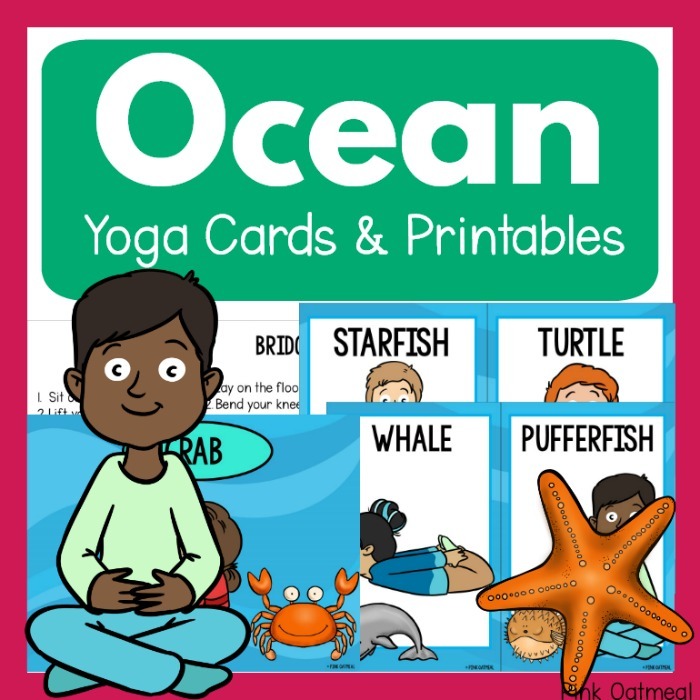 The cards are available in the shop (https://www.pinkoatmeal.com/product/sea-yoga/ or https://www.pinkoatmeal.com/product/ocean-yoga-kids/) or if you prefer my Teachers Pay Teachers store (https://www.teacherspayteachers.com/Product/Yoga-Cards-On-The-SeaOcean-1419975 or https://www.teacherspayteachers.com/Product/Yoga-Cards-On-The-Ocean-Kids-257360) They are available for instant download once you purchase! Thanks!